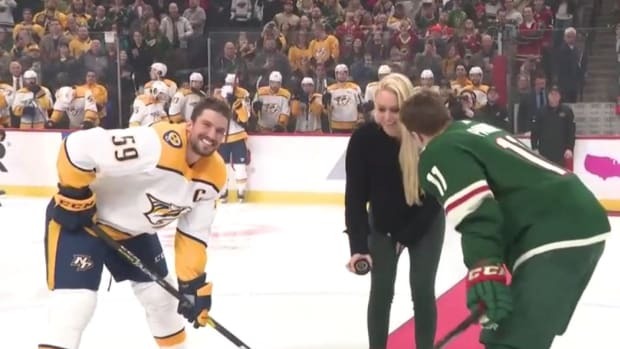 Does NHL need to revise rules after Wild loss to Nashville? 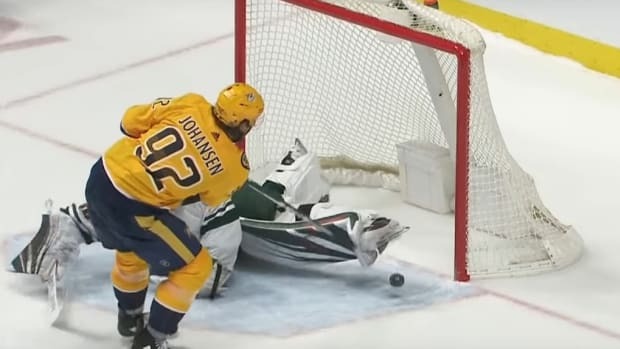 Devan Dubnyk called the shootout winner a "mockery." The Wild also had a video tribute for Mikael Granlund. 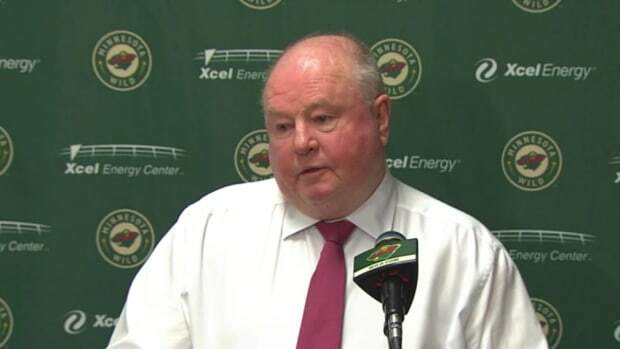 The Wild hasn't had a lottery pick since 2012. Minnesota is 1-5-3 since the All-Star break. It's time to pull the plug on this core, writes BMTN's Declan Goff. The former Bemidji State star brings some veteran skill to the Wild. The fan-favorite forward was traded to Carolina last week. It's the second day in a row the Wild have made a trade. Aberg has some jaw-dropping offensive skills. It all had all the ingredients the Wild need to keep winning. What's wrong with the slumping Minnesota Wild? Minnesota has been the second-worst team in the NHL since Nov. 12. Edmonton scored seven goals in the blowout victory. Ryan Lomberg went after Matt Dumba following a big hit. Josh Archibald scored his first two goals of the season in the third period. If you want to bring a larger bag, it'll need to be transparent. So much optimism a year ago. Where has it gone? Alexander Khovanov is considered a possible slam dunk talent. Making matters worse is Minnesota's very busy schedule. The Wild are now 7-1-2 in their last ten and climbing the standings. Wild fans will go crazy when he finally arrives in Minnesota. Was Diggs' TD against the Saints the greatest game-winning play in Minnesota sports history? Keenum to Diggs is up there – but we can think of two other contenders. Stafford played for the Boston Bruins and Winnipeg Jets a season ago. The Twins, Wolves and Vikings all have legit old guys – here's who the Wild should get.